To get to church, we needed to take two taxis, although you may think that taking a taxi is a straight-forward method of transport. Not in HK. 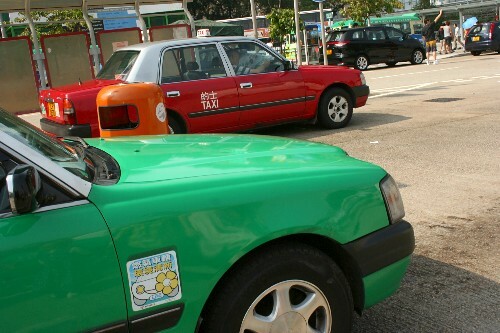 Green taxis only operate within the New Territories (where Tai Po is). The red taxis' designated territory is the "urban" areas of Hong Kong (Kowloon/Hong Kong Island/etc), and our destination was within a red taxi zone (Sha Tin). The two taxis lines meet at designated spots like this one. The Harveys’ church meets in a school hall and features a contemporary style of worship music. I loved being with the Harveys again in church. On the train ride home, Tirzah kept wanting to cuddle with "Bubba". 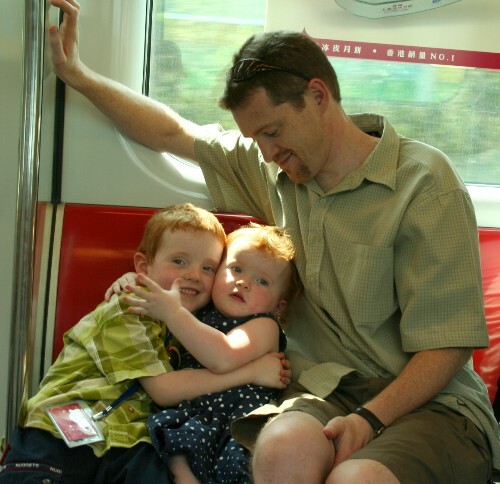 This particular train was particularly uncrowded, allowing us all to occupy seats. In the afternoon, Renee and I walked to their local supermarket where we spent almost an hour browsing the shelves, discussing food options, prices and issues of availability. It was interesting to see what was available and to wonder where we could source other “basic” food items like minced beef, chicken fillets and sour cream. 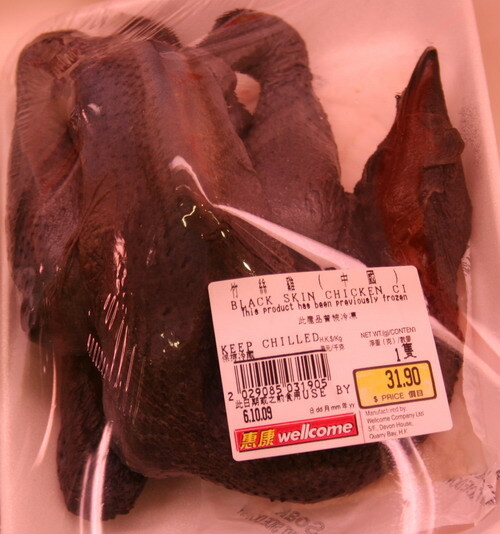 If you kill and pluck a Silky Bantam chicken, you'll discover it has black skin, black meat and black bones. And a very high level of anti-oxidants. Just what the doctor ordered. Yum.